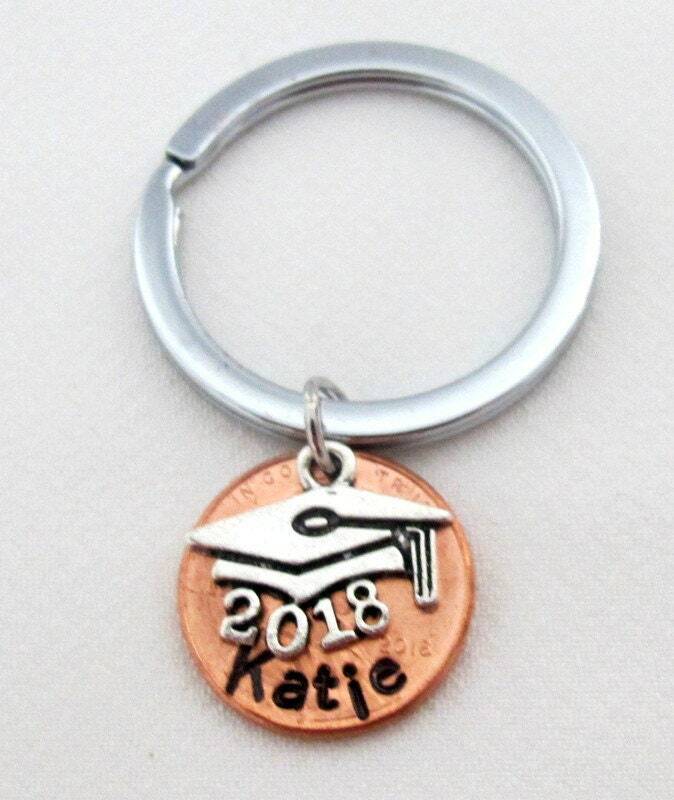 Graduation gift, Class of 2019 Graduation, New Grad gift, Grad Cap Charm Keychain, Grad Degree Charm Keyring, Gift for graduates, Graduation Cap, year 2019, and NAME of the Recipient Hand Stamped on the round disc. An awesome gift for the new graduates, Congratulating them on their success. Celebrate your graduate's success with great privilege. PLEASE MENTION THE NAME BEFORE CHECK OUT OF THE ORDER. THANK YOU!